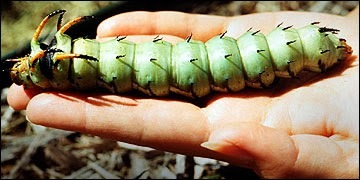 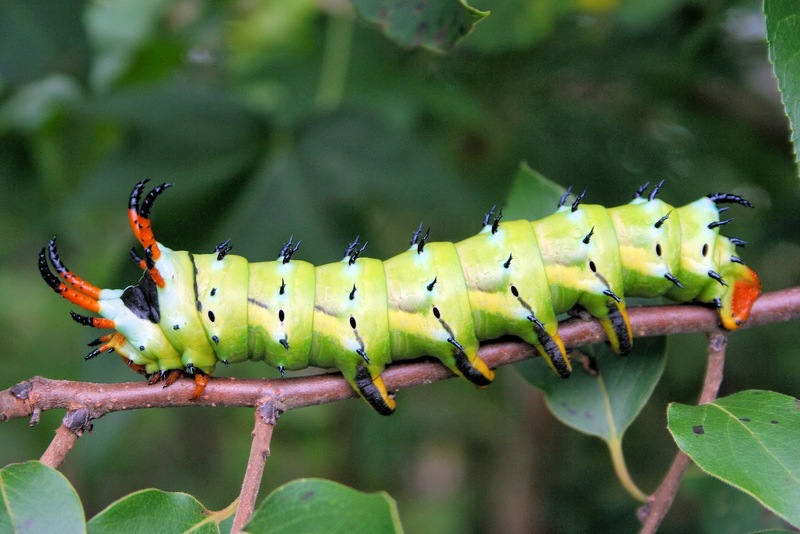 Caterpillars don’t usually conjure up images of horror and danger… do they? 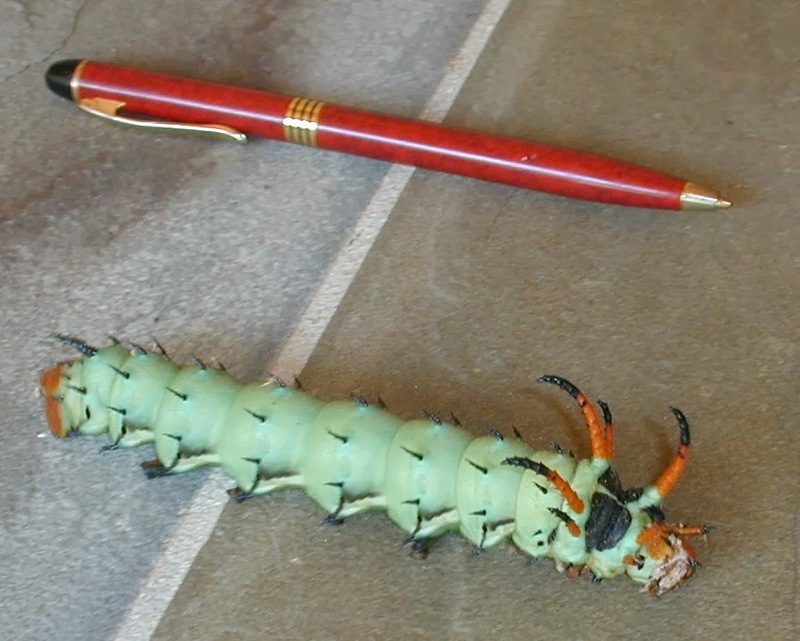 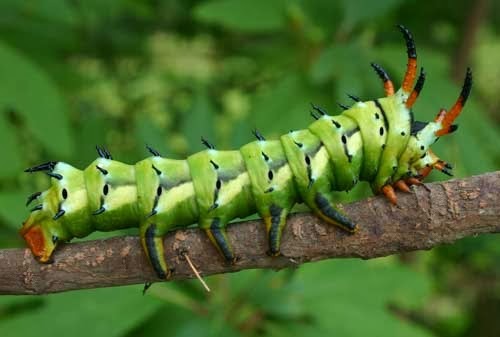 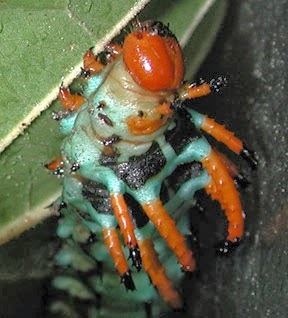 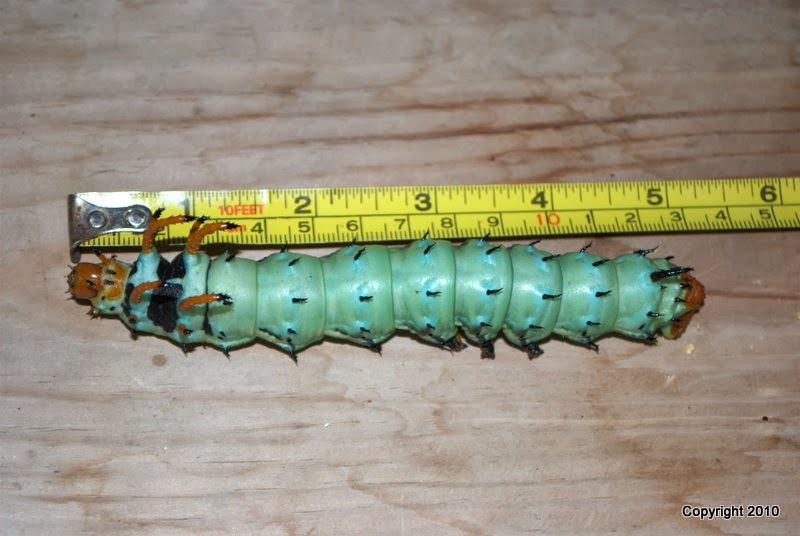 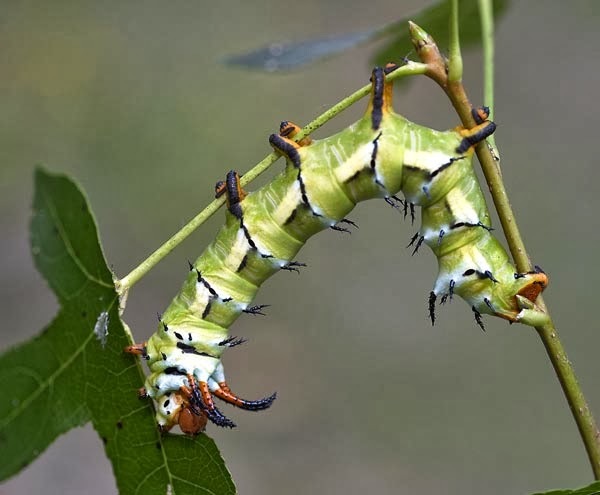 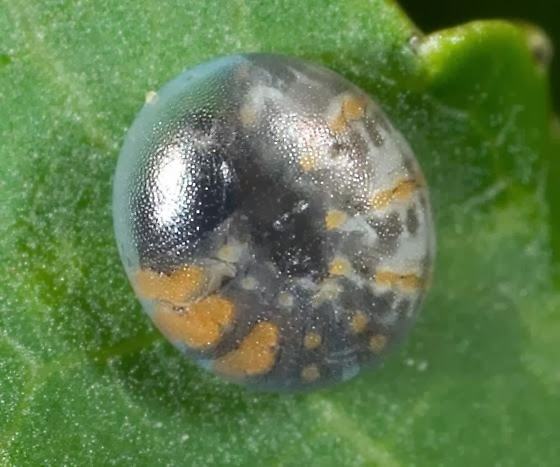 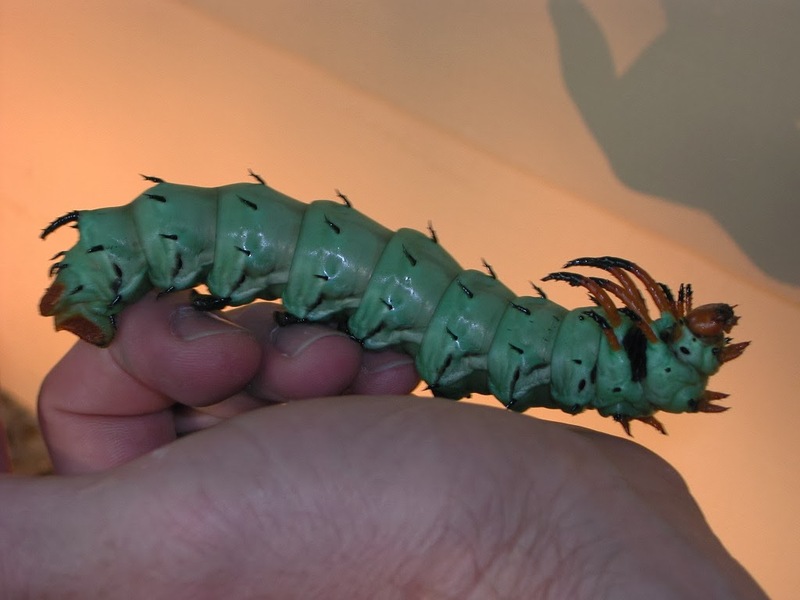 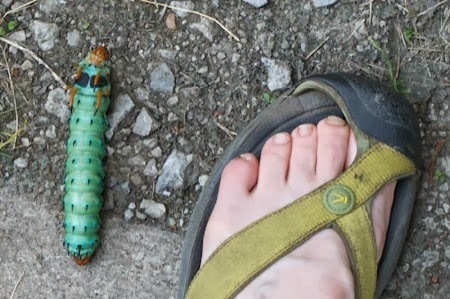 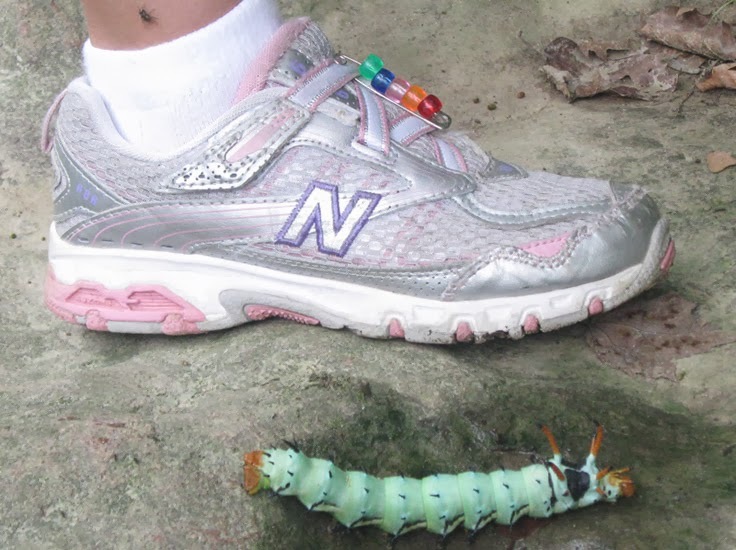 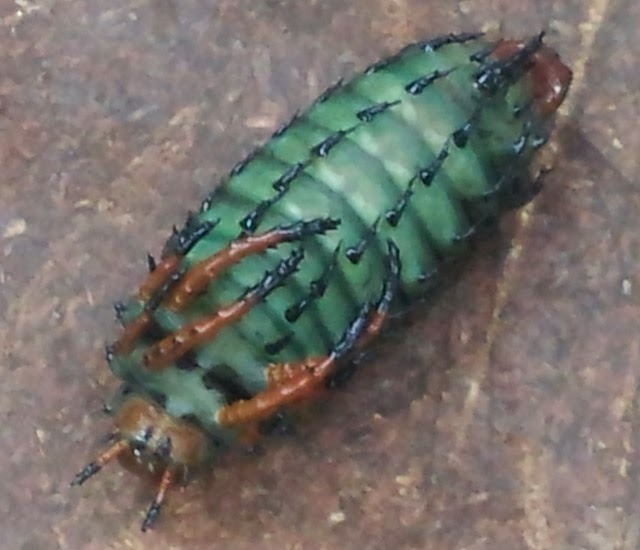 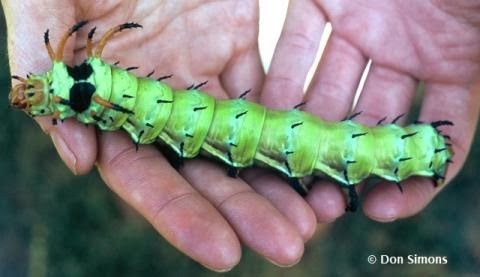 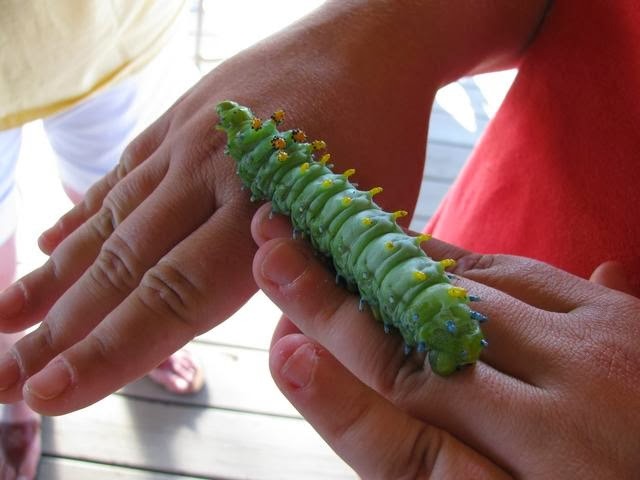 Well, I think your idea of a caterpillar might change forever after you’ve seen the Hickory Horned Devil, the caterpillar of the Regal, or Royal Walnut Moth (Citheronia regalis). 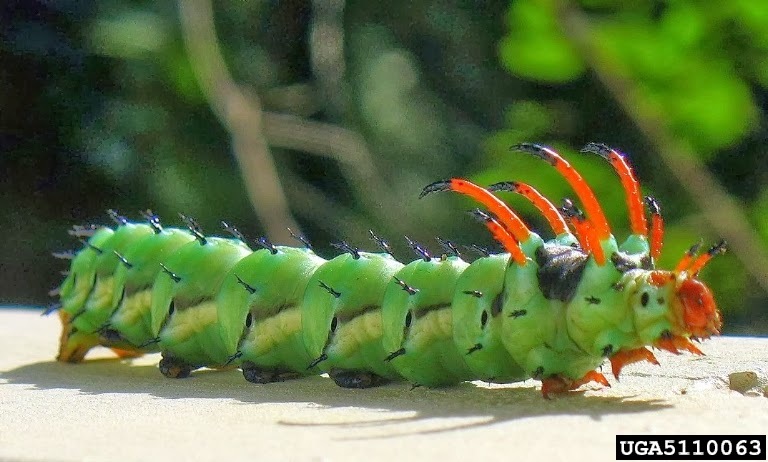 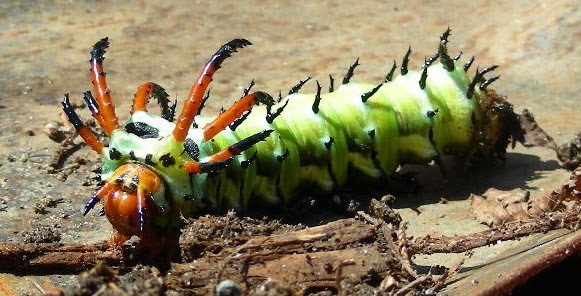 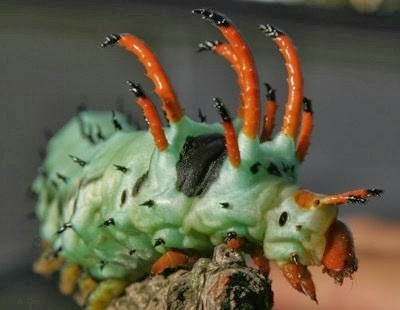 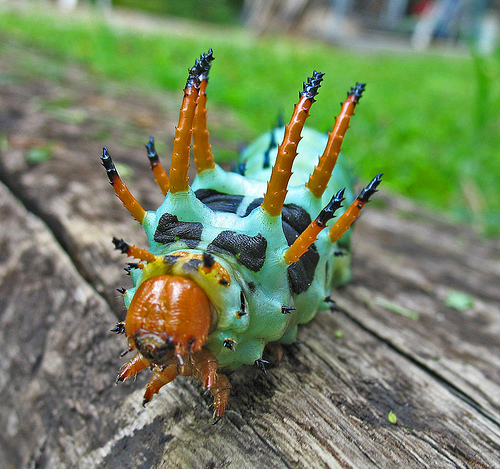 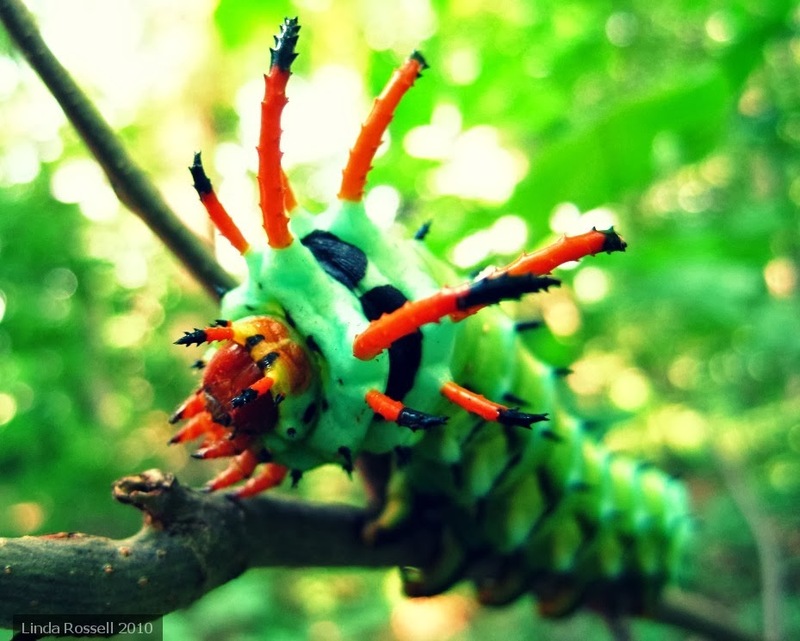 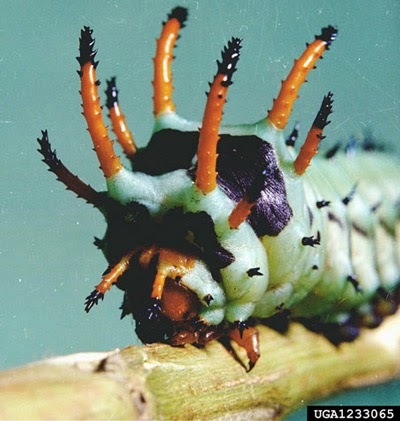 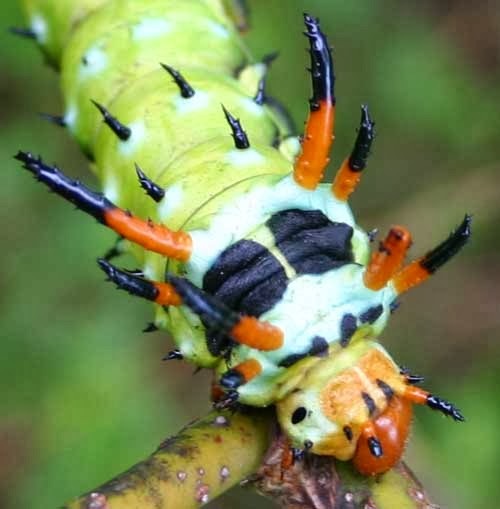 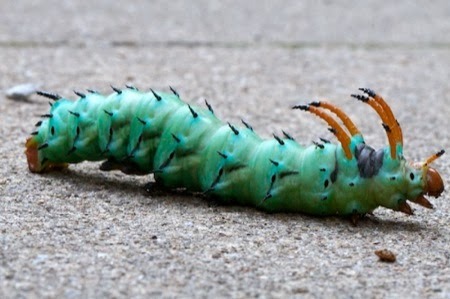 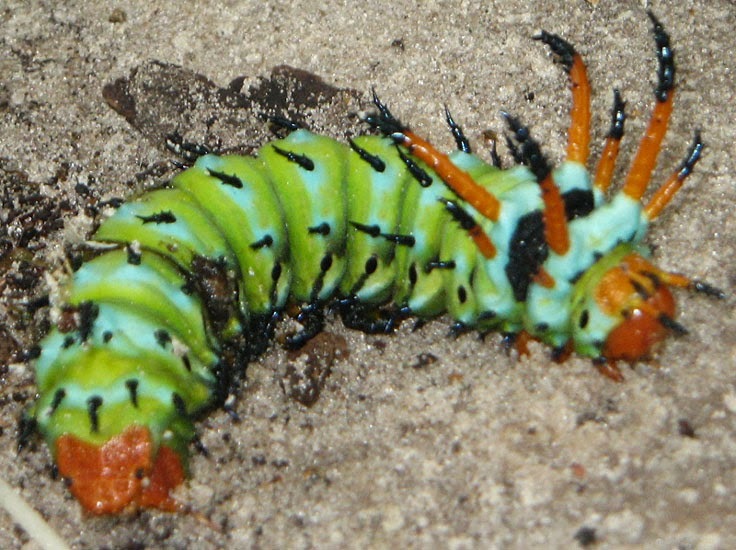 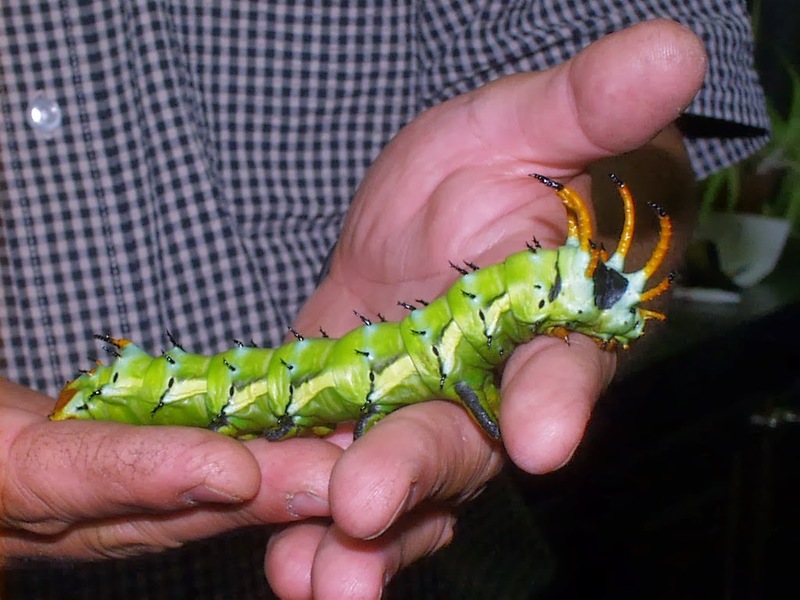 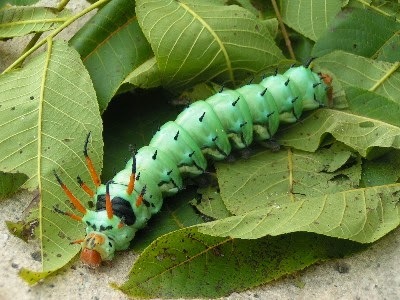 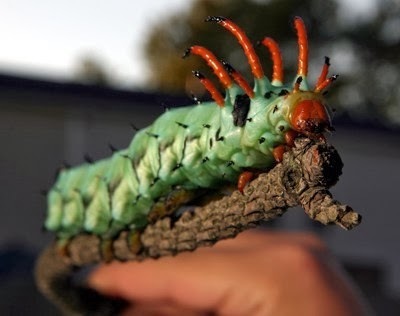 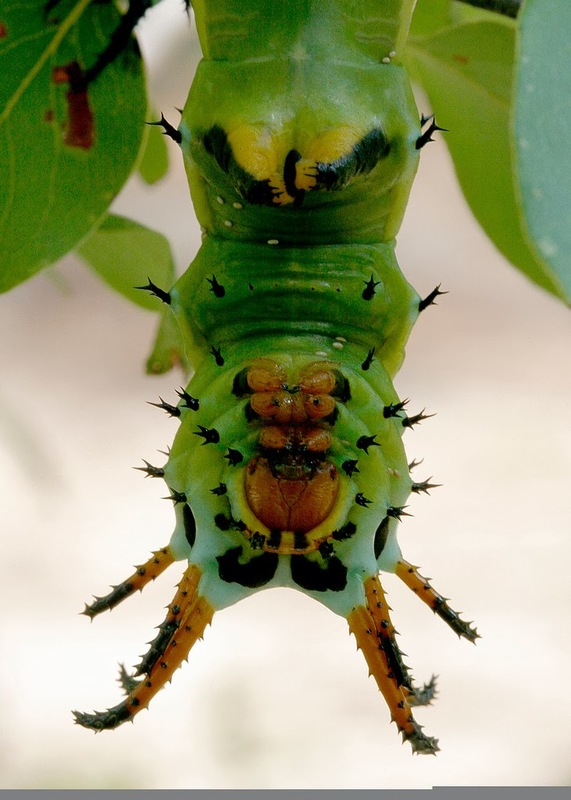 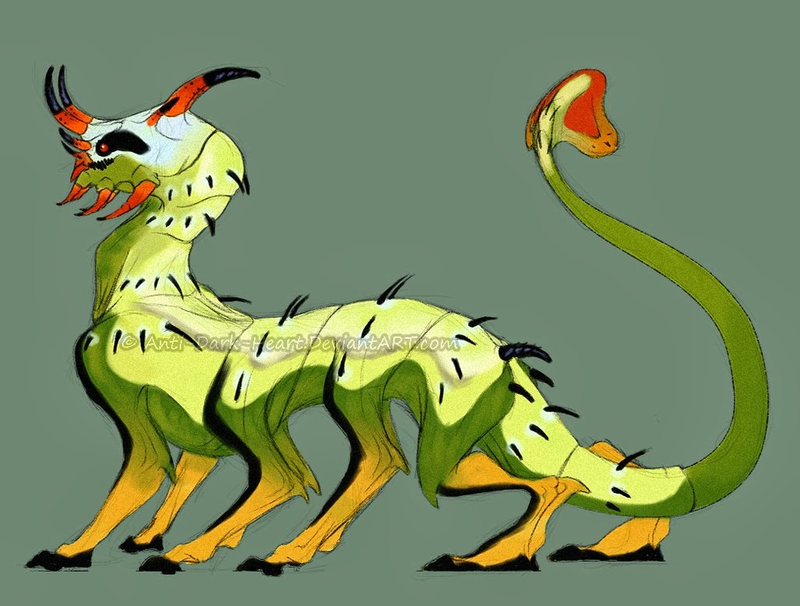 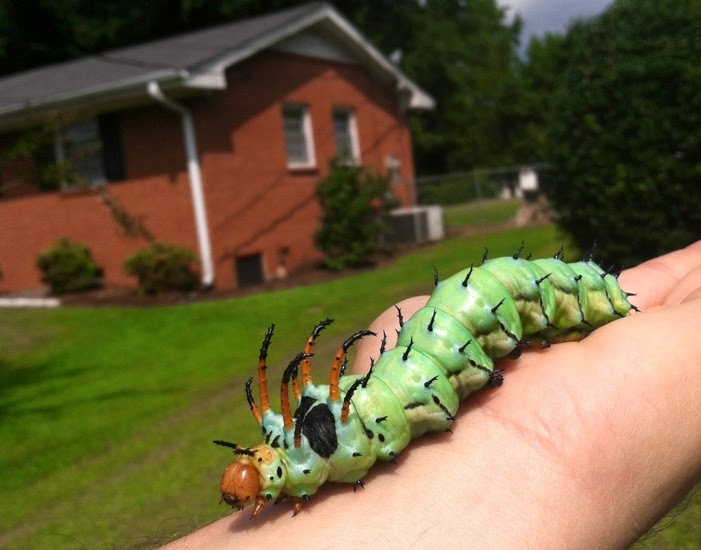 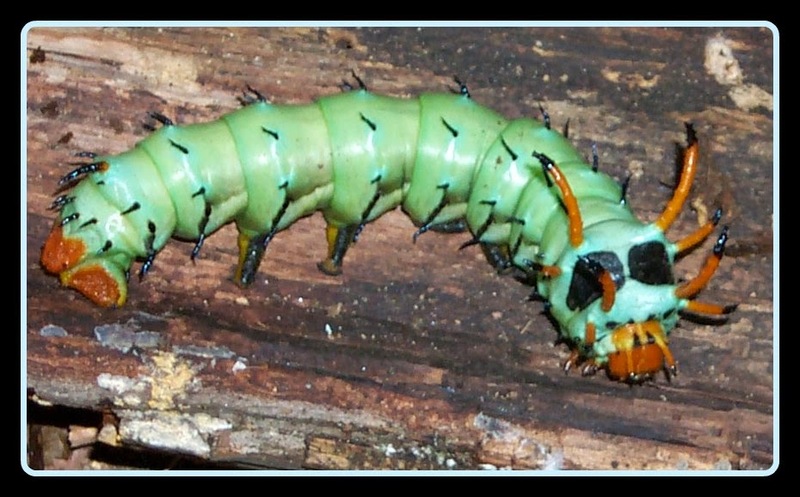 Bright green in color with long, red spikes with black tips, the Hickory Horned Devil caterpillar is basically screaming, “STAY AWAY OR ELSE!” However, as scary as it may appear, it’s actually all just an elaborate ruse! 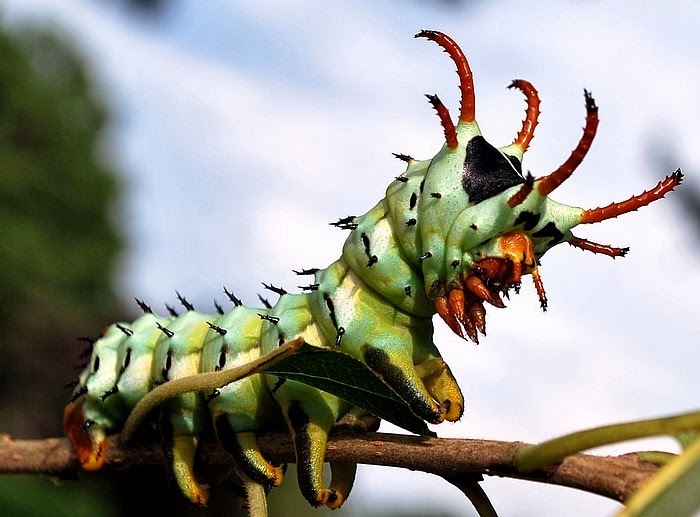 The horns, while menacing, don’t even sting. 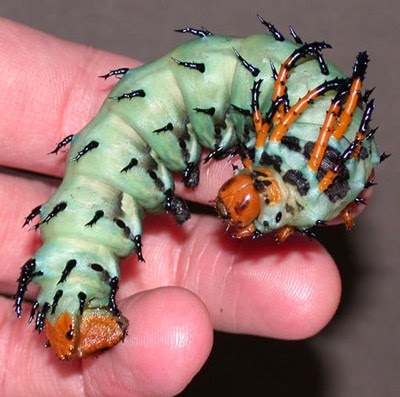 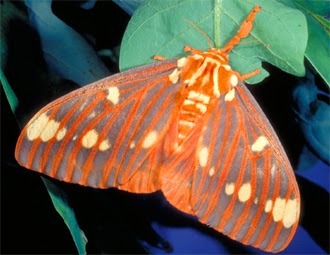 These guys are actually one of the more easily handled caterpillars of the family saturniidae. 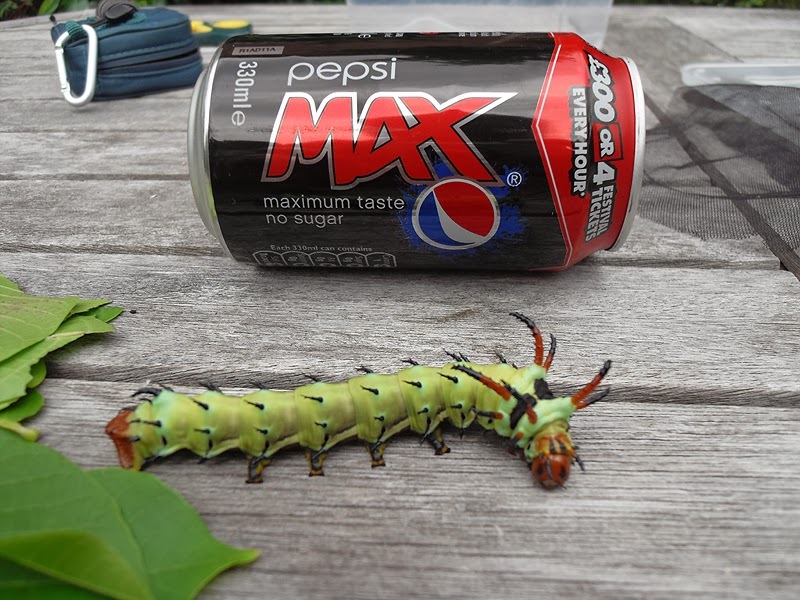 Guess the moral of the story is, don’t always judge a book by its cover!